When a company is on a winning streak they seem to nail every move. Days ago Goodall Design rejected the possibility for the Viper F16 & OD to become the new Youth ISAF multi. Now Nacra grabs their original F16 hull, that was enlarged to become the Nacra 17 Olympic Multi, but this time they chopped off some cms instead of adding them... and voilá: Here you have the new 'Nacra 15'. I think this time adding a new boat to the lineup is not ideal. Henry Demesmaeker and many other youths in Belguim, France and US have shown that the F16 platform is perfect for Youths aiming to compete at top level. So I don´t see a long term compromise for this boat. The F16 platform has a good growing established Class, and even a market for older sailors to sail solo , Mixed or two light male crews. Thus having a boat that is not restricted to ISAF Worlds, will add chances to gather new fleets and boats could be sold afterwards to a wider public than say the SL16 or the previous Youth Multi the H16. So, if Goodall Design does not wants the Viper, and Nacra puts up this nice but somehow not ideal solution, maybe Matt Mc Donald can put forward his Falcon F16 as a bid to become next Youth ISAF Multi, and manu Boulogne can do it with his Cirrus Q also. Whichever the brand, is clearly that any F16 will do the job. Brand finances and how to protect their own wealth it is another story of course and there lies the question on why Nacra didn´t went for their F16 platform as the Youth Multi choice. ISAF needs to solve this asap, and unify concepts targeting common sense and efficient decisions towards sailors benefit. On the technical aspect, the boat looks like a little weapon with curved boards and finally some winglets, feature we were demanding for the Nacra 17 since day 1 here in CSN. The problem is they've chosen an already old style winglet position used previously in the A-Class. Now all new A rudders are placing the winglets at the rudder tip. 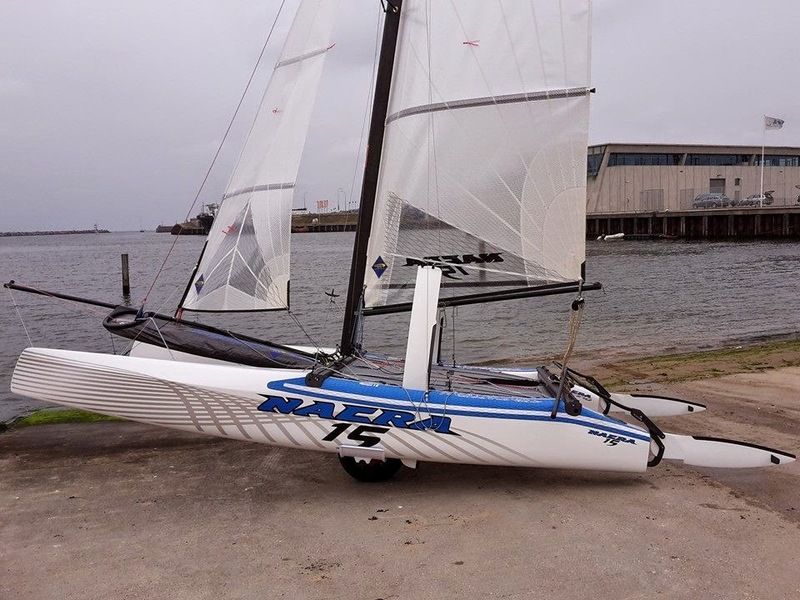 Later 1 to 1 comp on the Nacra F16, N17 and this new 15 feet.